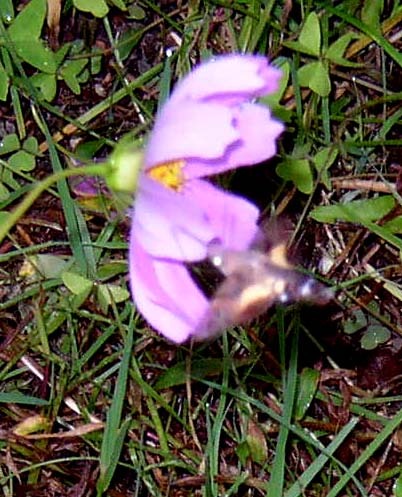 At sundown a few evenings ago, I saw what I thought were two bees around my flower pots. They were still there an hour later. 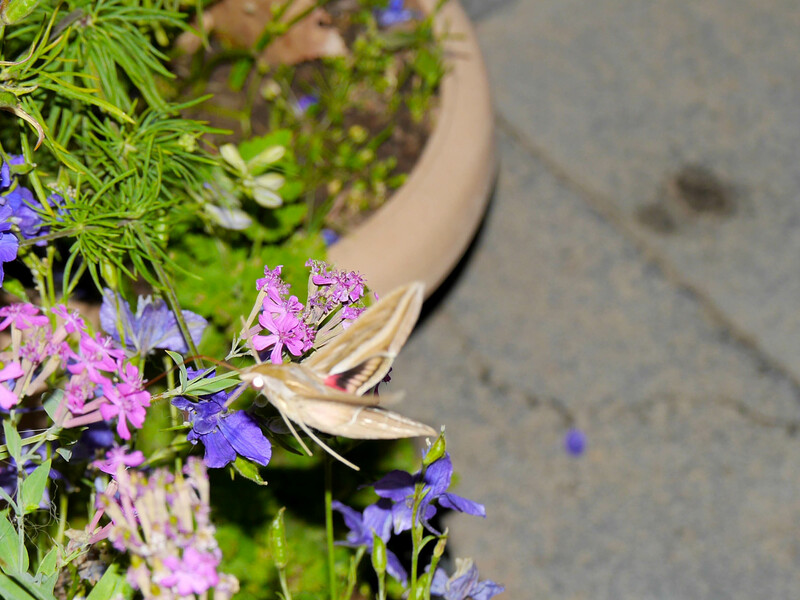 On taking a closer look I realised there were moths, though quite different from the hawk moth that I was familiar with. I took the camera out in time to get a few shots before nightfall. It wasn’t easy as these moths were flitting around like they couldn’t make up their minds; barely hovering over a flower for a second or so. Peter Smetacek, a lepidopterist-friend, helped me id the moths. Peter is one of India’s experts when it comes to butterflies and moths and has got a whole lot of us “infected” as he says, with his passion for the flutterby. 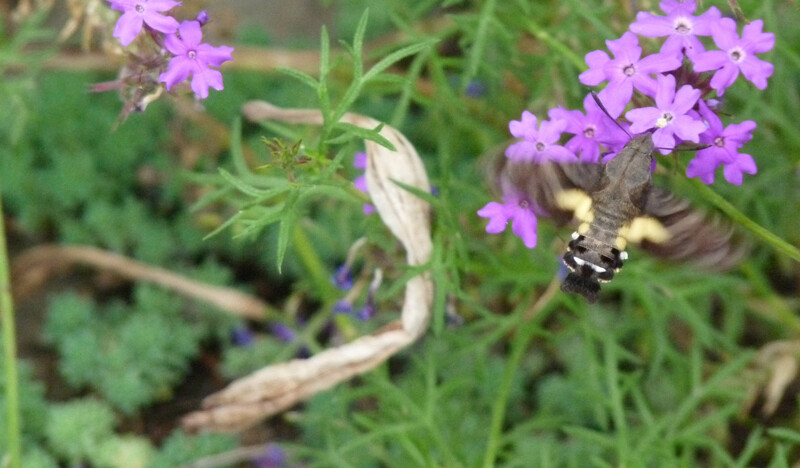 The Hippotion Celerio is also called the Vine hawk moth or Silver striped Hawk moth. With summer flowers blooming, I hope I get to see more of the Sphingidae family. 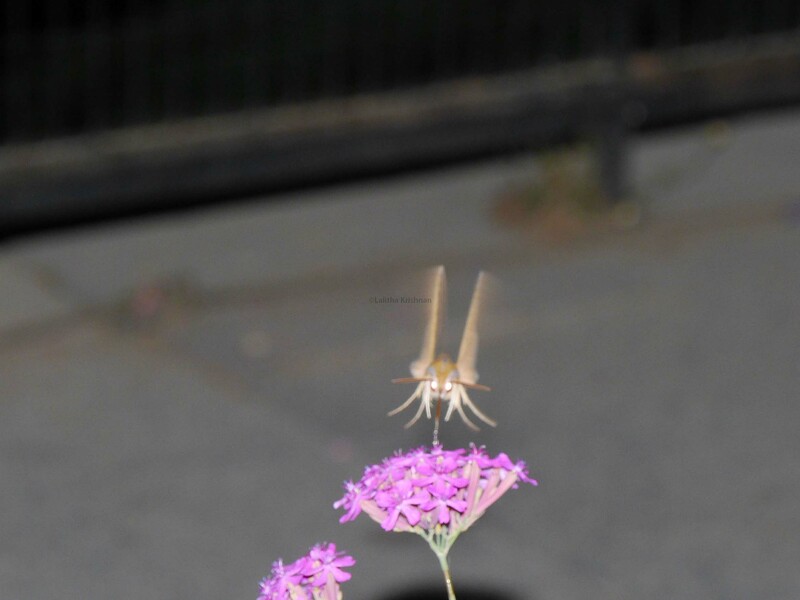 Are moths attracted to shades of pink and purple?